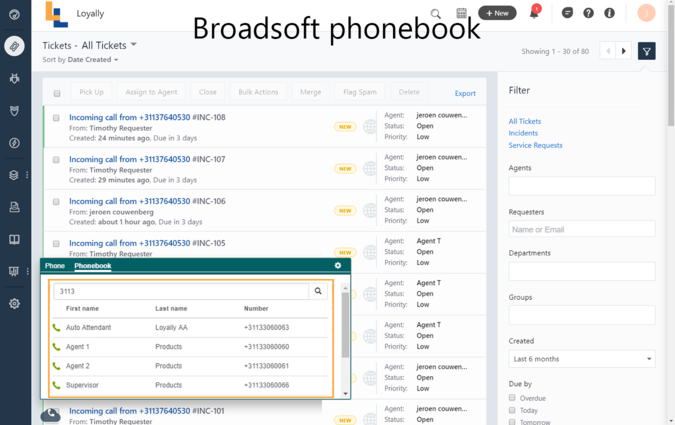 Call Control gives you full control over your Broadsoft telephony from inside Freshservice. 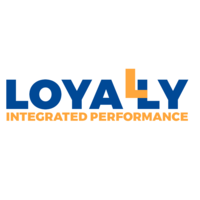 The new standard in CTI’s is the full integration of Broadsoft into the Freshservice environment by Loyally. 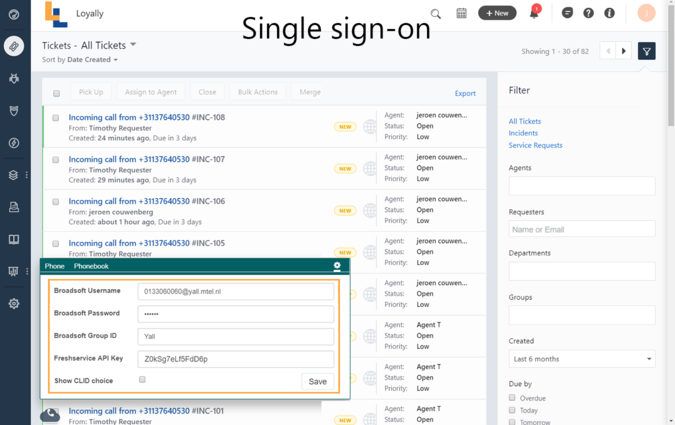 The Call Control lowers costs and improves the quality of your helpdesk by automating the call operations within an agent's workflow. 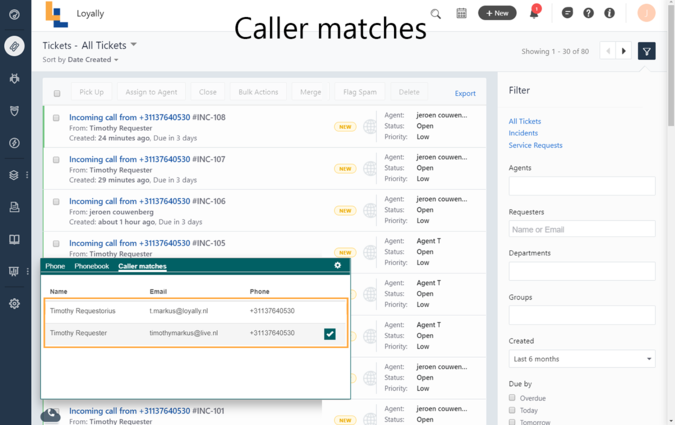 This will effectively reduce all call times, enabling your agents to help your customers faster than ever before. - Full call control: answer, reject, dial, transfer and hold. 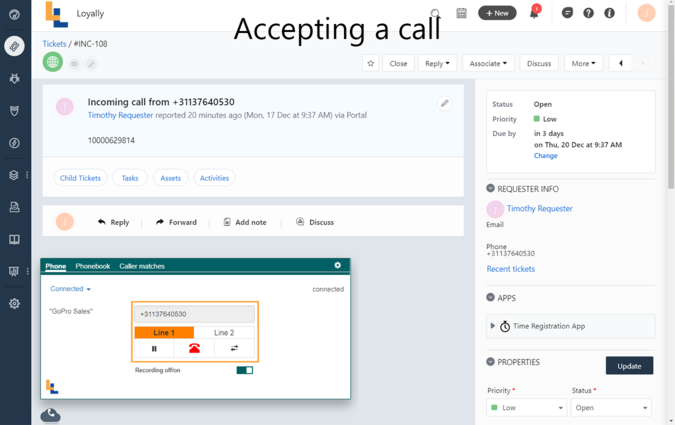 - Automatic ticket creation for inbound calls. - Automatic requester lookup for inbound calls. 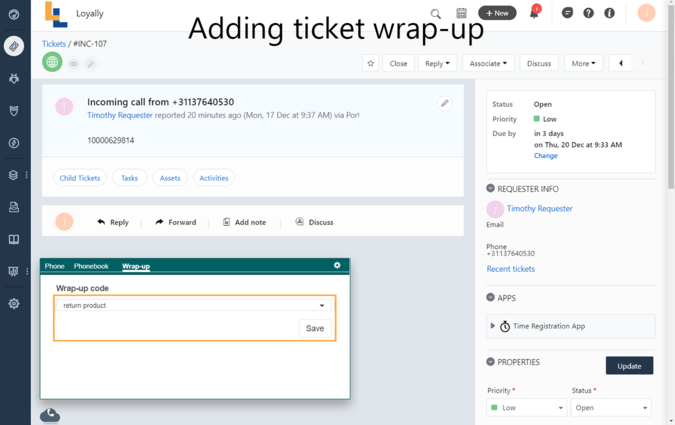 - Pushing a ticket to your colleagues in Freshservice when forwarding a call. - Start, pause and resume your call recordings. The integration is fully SaaS, and does not require any installation or maintenance on your side. Please contact us on our support address to install the Broadsoft Call Control application or to schedule a personal demo.